Mike Lytle of Lebanon Turf; Pat Gradoville, Palos Verdes (Calif.) GC; Clark Throssell; and Robert Hertzing, Lakeside (Calif.) GC enjoy a round of golf at the 2017 Summit. The 7th annual Golfdom Summit was a smashing success, and I had the good fortune to be there for the 2017 event, Nov. 28 through Dec. 1 at the Reunion Resort in Orlando, Fla.
It’s a unique event, unlike any professional conference or meeting that I have attended. A friend of mine who is a superintendent was getting ready to attend the event for the first time, and he asked me what took place at the Summit. I explained that it’s an opportunity to learn and spend time with many talented superintendents from around the country, plus a chance for a little relaxation. The best thing about the Golfdom Summit, though, is talking one-on-one with industry representatives in a structured yet relaxed environment. What is the most valuable thing any of us has? The answer for me is time. The event provides the most value for your time through these one-on-one meetings. 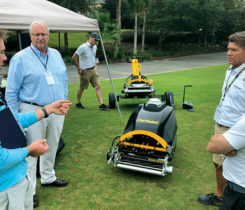 You get the undivided attention of these golf industry professionals to learn about the products and services that are most important to you. You also can ask the questions you have always wanted to ask about specific products without putting someone on the spot in front of an audience. Meeting with these professionals also gives you the opportunity to describe the problems you face and help the industry find solutions to those problems. 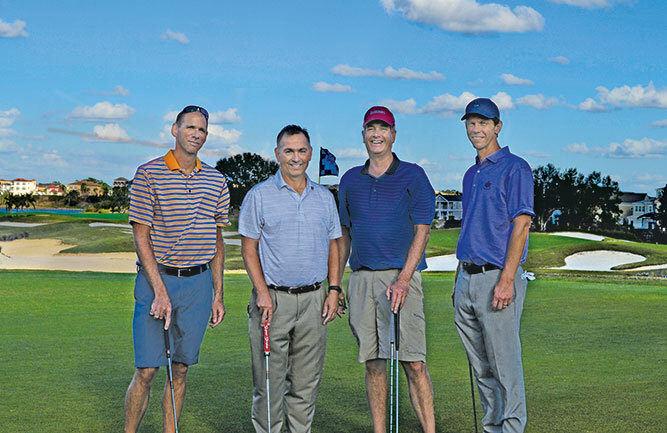 The superintendents who attend the Golfdom Summit are at the top of the profession. There is ample time to meet fellow superintendents and learn about their programs, tricks and tips. I spend most of my time at the Summit talking to superintendents and learning about their challenges. It helps me determine the topics for future research articles and other information that is published in Golfdom. The relaxation element of the event includes good food in casual settings, an occasional adult beverage and a round of golf under the warm Florida sun. For those of us from northern locations, a little Florida sunshine in late November or early December is hard to beat. Meals are a great time to meet new people and learn about golf course management in other parts of the country. 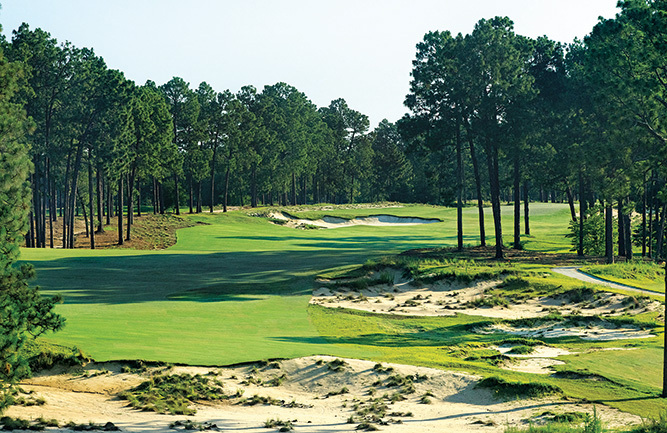 I never cease to be surprised by how different golf course management is — and the number of challenges that superintendents face — depending on the location of the golf course. There is no cost to superintendents who attend the Golfdom Summit. All the industry partners involved in the Summit sponsor the superintendents who attend. This allows superintendents to meet with industry representatives for 15-minute one-on-one sessions to learn about their products and services — the products and services in which superintendents have the most interest. So how can you attend the Summit? You can apply by completing a brief form at GolfdomSummit.com expressing your interest in attending. You’ll also be asked to provide a few details about your golf course and your background. Golfdom Editor-in-Chief Seth Jones and Publisher Craig MacGregor will review the applications and make the selections. The event is limited to 50 superintendents each year, and it can be a tough invite to get, so consider dropping by the Golfdom booth at GIS in San Antonio and telling Seth or Craig in person that you are interested in the 2018 Summit. It’s not too early to start thinking about attending the 2018 edition of this valuable annual event.